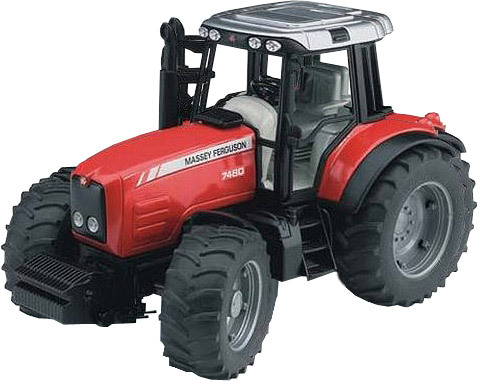 The scale of a toy is the ratio of the size of the toy to the size of the real item, so if you have a 1:32 scale tractor you will need 32 of them lined up nose to tail to equal the length of the real thing. Some toys from the same brand or manufacturer come in different scales. If this is the case, you can't really mix and match them. For example, if you buy a 1:16 scale tractor, and you want a trailer to go with the tractor, be sure to buy a 1:16 scale trailer. If you buy a 1:32 trailer, it will be too small (in fact half the size) to go with a 1:16 tractor. 1:87 scale is also known as HO scale, it's a popular size for model railways. OO scale is also popular, and it around 1:76 scale.